By repealing body for public procurement, the Government is skipping the steps in process of regulation of public procurement; it is undermining public debate on the new law, the opinion of the European Commission and the public’s right to know, contrary to the demands of European integration. The Government’s new Decree on the organisation and manner of work of state administration abolished the Public Procurement Administration. Its tasks were delegated to the Ministry of Finance, without explanation. In the 2019 Law on Budget, there is only a new budget program “management of public procurement system” under the Ministry of Finance, worth over 358 thousand euros. The Public Procurement Administration does not exist as a specific consumer unit. 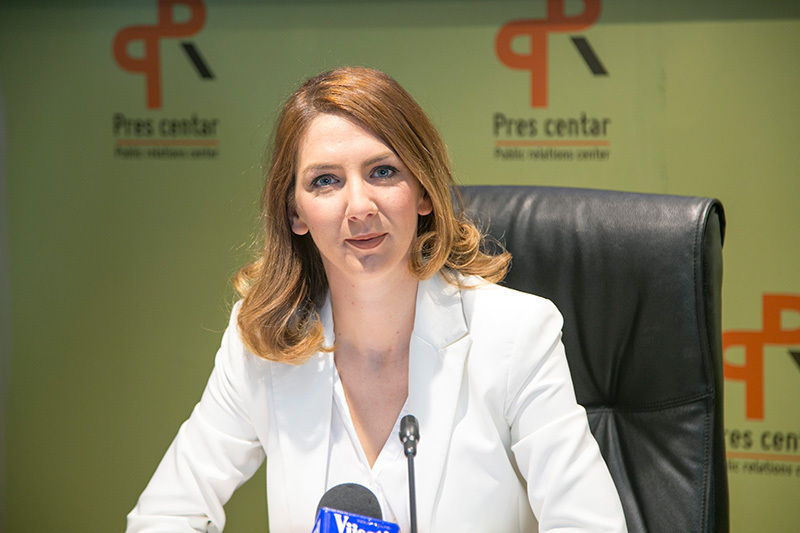 As a general explanation for the decision to abolish certain bodies (including the Public Procurement Administration), Ministry of Public Administration stated that it was guided by “rationalisation needs with consideration of legally established criteria, due to the nature of work or small-scale load.” No further explanation was given why the formerly independent state body has been integrated within the Ministry, while the majority of the former bodies within the ministries has been reorganised into independent administrative bodies. 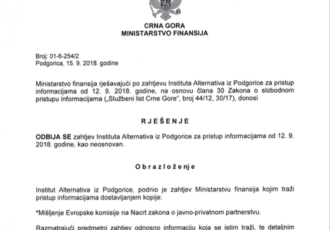 However, given the recently adopted 2019 Law on Budget and job descriptions and competency of the Ministry of Finance, as they are described in the new Decree, the competent program within the Ministry will have neither less nor more job, responsibilities and competences than the Public Procurement Administration had, nor less employees, nor will consume less money. According to the Decree , the description of the work that Ministry of Finance does in relation to public procurement corresponds to the previously described activities of the Public Procurement Administration. 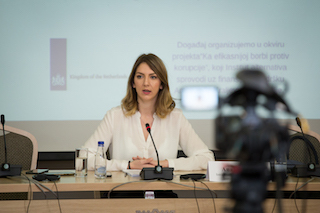 Also, the estimated budget of the Ministry of Finance for the public procurement program is 23 thousand euro higher than the budget of the Public Procurement Administration in the previous year. The budget for salaries is not reduced – on the contrary, it is also higher for 5,000 euro. The total salary budget of the Ministry of Finance, compared to the 2018, has decreased only for the amount taken away from previous budget programs of administrations for games of chances and real estate, which are now independent consumer units. Therefore, even in this area, there are no budget savings. The abolition of the Public Procurement Administration, therefore, will have no implications on expenditure cuts and “cheaper” public administration, nor on the optimisation process. In the Ministry of Finance, the same number of people will continue to work on public procurement tasks and the cost of their salaries will even increase. Not only that it did not justify the abolition of the body, but the Government has not yet finalised the Proposal for the new Public Procurement Law and submitted it to the Parliament, although it was supposed to finalised it during the last year. 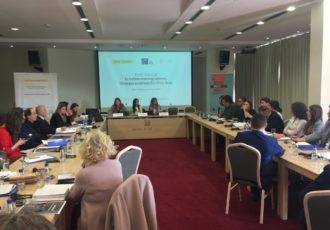 Draft Law on Public Procurement, which was the subject of a public debate in March and sent to the European Commission for the opinion in September, envisaged Public Procurement Administration as an independent body. Therefore, in order to be aligned with the Decree, the proposal of the new law will have to be extensively revised before submission to the Parliament. In the past two years, the Government failed to demonstrate a clear strategy for regulating public procurement, although this is an area particularly prone to corruption. A few seemingly random and unexplained activities, such as amendments to the Law on Public Procurement in June 2017, without public debate and opinion of the European Commission, the delays in preparation of the new Law and skipping steps in the preparation process, call into question the Government’s commitment to seriously improve the area in which half a billion euro of citizens’ money is spent each year. The Government is therefore obliged to publicly explain decisions made in the previous period and to state whether this had the approval from the European Commission. Also, when the new Public Procurement Law enters parliamentary procedure, the MPs are responsible to ask the Government why it has opted for a solution different from the one that was subject of the public debate and which was sent to the European Commission for an opinion. 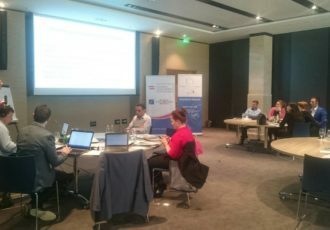 With the abolition of the Public Procurement Administration, Montenegro became the only country in the region without an independent state body to monitor public procurement.